Fun Zone, an amusement and sports park in Pooler, Georgia, had made some exciting renovations and additions to its property, so the company was in need of a fresh TV spot that would highlight these updates. With the addition of brand-new go-karts, Fun Zone wanted to create a commercial that would focus on showing these go-karts in action, as well as featuring other activities that the park has to offer. RobMark helped create a fun and adrenaline-pumping TV spot that showed off the new and improved activities at Fun Zone. 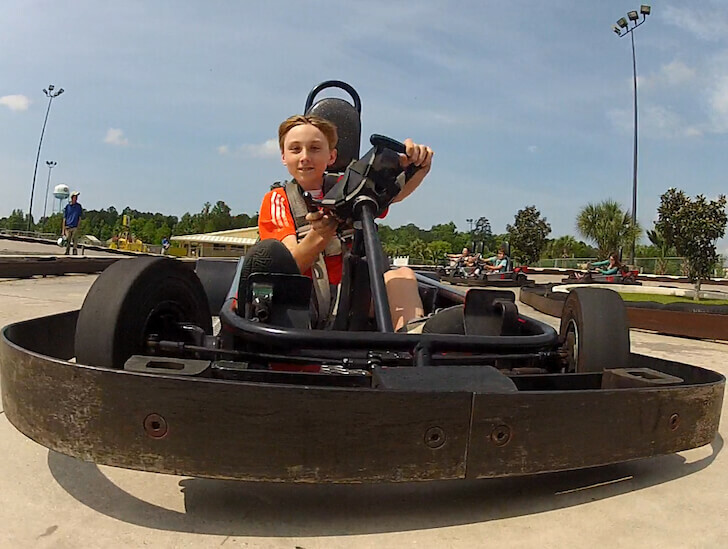 Along with high-energy music and a competition-fueled voiceover, we showcased the new go-karts with footage of kids and teens racing along Fun Zone’s winding tracks. The spot also included clips of the renovated mini golf course, brand-new virtual reality game, and the concession of choice: Icees. Our team decided to take the video beyond only TV by adding it to Fun Zone’s website as the homepage hero video. Fun Zone also uses clips from the TV spot to engage fans and followers on their social channels. Fun Zone’s action-packed TV spot appealed to families and children of all ages, highlighting the facility’s new offerings and renovations. 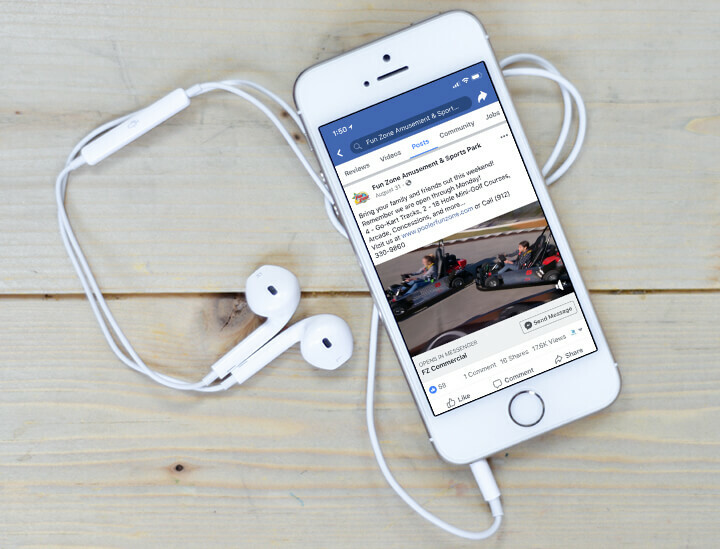 Since being added to the website, the video has received approximately 8,000 views per month and the video clips have reached an impressive 42,700 views on Facebook.